We were founded in 2010 to fill the need for unique teas in the lively mountain town of Telluride, Colorado. 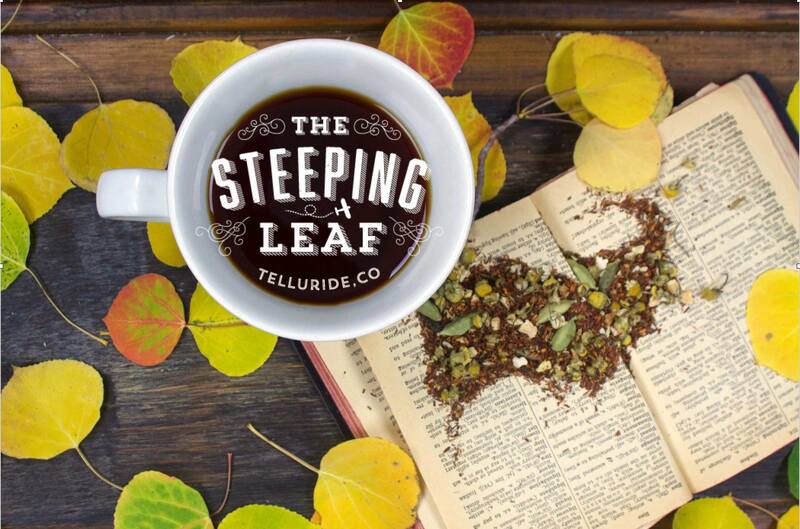 From its roots as tea supplier to our first coffee-and-teahouse, the Steeping Leaf has expanded to provide teas to a number of coffee and tea shops, apothecaries and wellness spaces across the West. In 2015, our website was launched, creating an online storefront where tea lovers can order from anywhere in the world. We have established a peachy customer base who appreciate our quality organic tea sourcing, delicious creative tea blends, and classic tea favorites. We’re inspired by the communal elements of tea sharing that bring humans together. We’re a lady-run small business, operating from Telluride, bringing tea to our region and beyond!